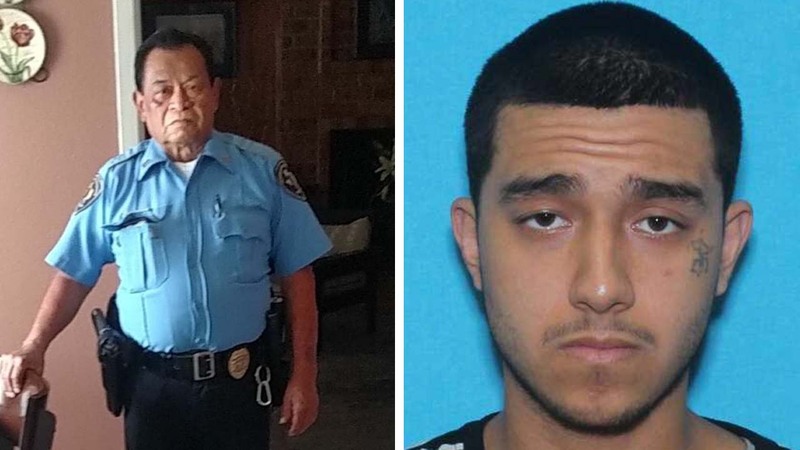 HOUSTON (KTRK) -- Police are asking for help to find a man accused of capital murder after a security guard was gunned down in a parking lot last December in Houston. Jonathan Vasquez, 21, is a suspect in the murder of Saul Cruz. The 71-year-old Cruz was shot around 4:10 in a shopping center parking lot in the 4700 block of Anderson Road on December 22, 2015. Police say the suspects fired at Cruz from behind and then took his service weapon from the car. One of the suspects was arrested, but Vasquez, police say, remains on the run, possibly in Mexico. Vasquez is 6 feet 2 inches tall, 180 pounds, with brown eyes, black hair, and possible gang tattoo of the #3 on the left side of his face. Crime Stoppers will pay a reward of up to $5,000 in this case. Information may be reported by calling 713-222-TIPS (8477) or submitted online at www.crime-stoppers.org.